Yesterday was an exciting day for the Project. We had over 75 volunteers come out from the local community to help us out with some construction, grass cutting, and general clean-up. 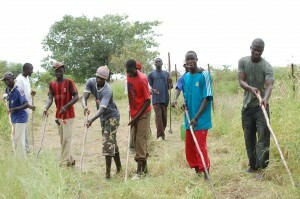 Almost all volunteers were from the Serer church. It was such a blessing for these young men to come out to the Project so they could see first hand what Beer-Sheba is all about. This is, after all, their project so it was neat to see them helping out with such enthusiasm. 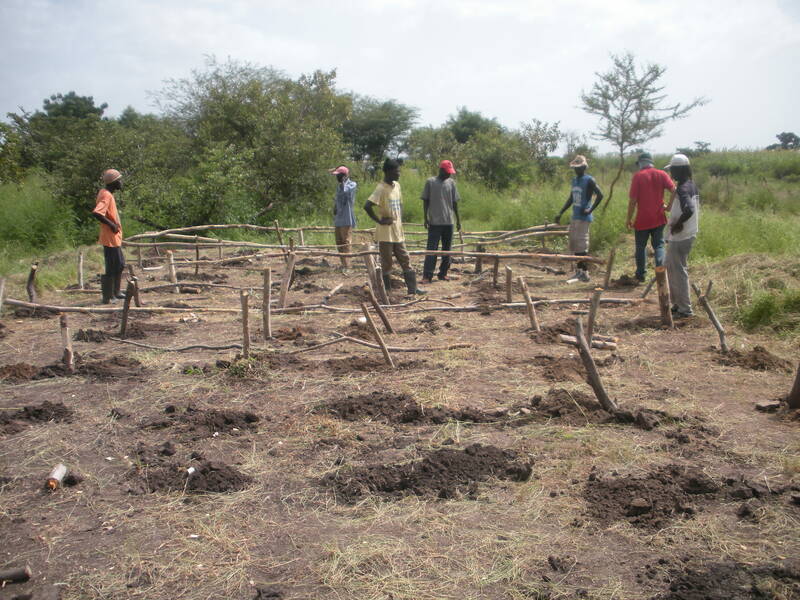 One of our goals was to erect a structure for storing grass that we can feed to the animals throughout the dry season. We didn’t quite get it finished so it will require another day’s work but a big majority was done so we are so thankful. Eric and myself were kept busy hauling and cutting trees used for making the structure. If it hadn’t been for the chainsaw we had, it would literally have taken weeks to get this done. Each post hole was dug by hand, and then we placed a variety of eucalyptus and acacia tree branches and trunks in the holes. 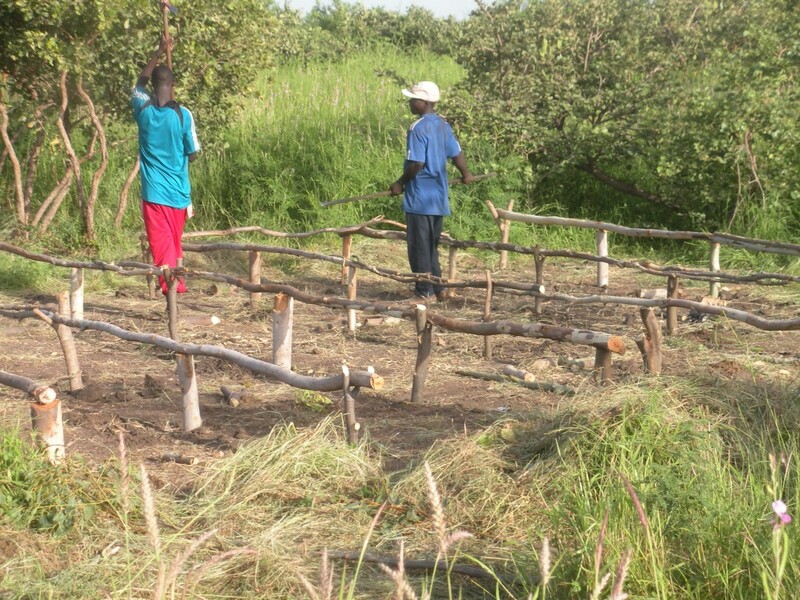 After the lattice and cross members are attached, the grass will be piled on top and then we will cover it all with plastic for increased nutritional value. Grass is abundant at Beer-Sheba during the rainy season so we are experimenting ways in which we can harvest it and keep the value vs leaving it standing and subsequently drying off and browning. The majority of the volunteers were working on what you see above. The grass grows to over a meter high in most places and so we wanted to have a nice clear area around the perimeter. This serves several purposes, the first one being it discourages animals from pushing against the fence in search of foliage. Secondly, the grass can be used for our new storage structure and lastly, it just looks nice! 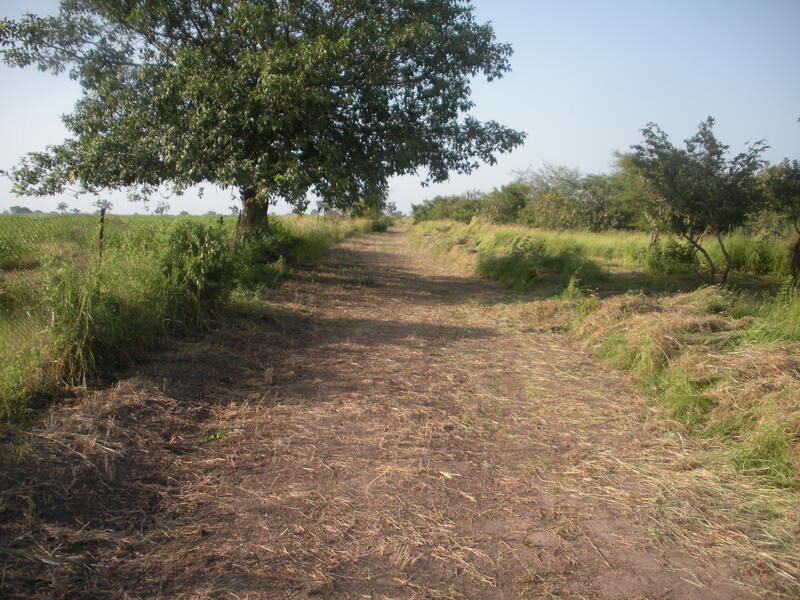 The volunteers accomplished nearly 1000 meters of cutting and clearing around the fence! Speaking of fence, our fence has seen better days. Since installed in 2002, it has done very well but is now in need of repair. Several volunteers were working around the perimeter, (about 4km of fence), patching up some of the big holes with wire and then filling in the gaps with acacia branches. These branches discourage any animal from attempting entrance as the thorns are menacing. Head over to our Get Involved section for ways to help us out with the repairs. No work day would be complete though without some good food and fellowship and this day didn’t disappoint. Suzanna from the Mbodienne church headed up a team of brave women who spent all day at the Project preparing the meal and then the ensuing cleanup. 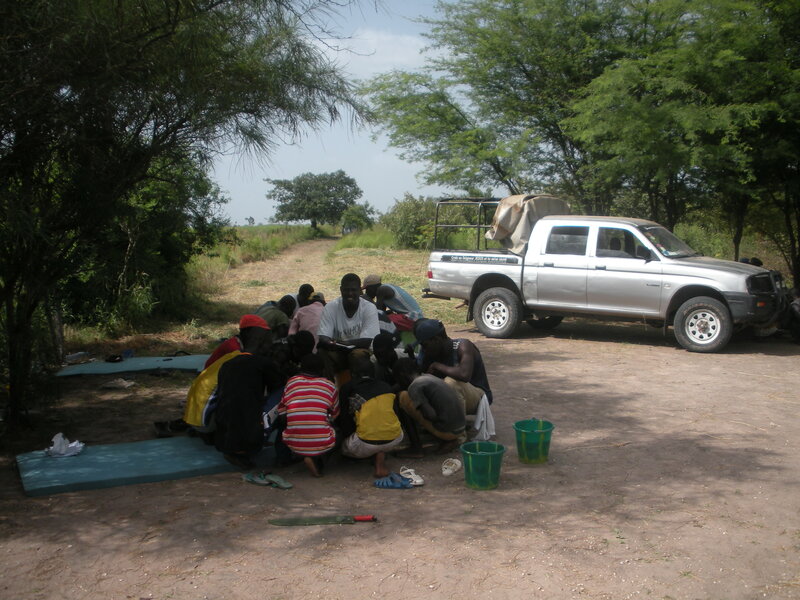 They made a wonderful meal of thiebou diene (fish, rice and vegetables). That’s no small work preparing food over an open fire for that many hungry men. Interspersed amongst all the eating groups (5-8 guys around 1 bowl), there was the traditional tea (attaya) brewing in action. It was a great time had by all and to be out of the scorching sun and in the shade was a treat in itself. For all of the days photos click here.